CameroonPostline.com -- Usually, when my phone rings and I see Francis Wache’s name and number flashing on and off, I always answer with: “Hi, Francis, what’s up?” and expect the usual answer: “Oh, not much, I just wanted to tell you about ….”, and the conversation would then drift from one light-hearted topic to another. That was, however, not the case in the morning of March 8, 2007. When his emotion-drenched voice asked: “Have you heard about BB?” I immediately felt, even before he confirmed it, that something tragic might have happened. “No! What’s wrong with him?” I recall asking. BB Obasinjom Warrior! Ekinni Achwimgbe! And you became Beast of No Nation. Aieee Obasinjom warrior! Yet you Say “I conquer fear to die”? 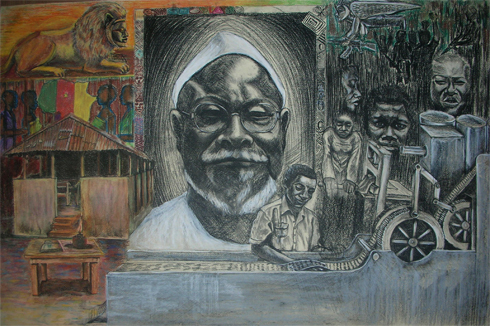 Today we remember Jacobs Bate Besong, the prolific writer, poet, playwright and literary scholar, who died exactly five years ago on March 8, 2007. Five years after his passing, the vacuum that his death created on the Cameroonian literary landscape is yet to be filled. RIP BB! On Thursday, 8 March 2007, I was steeped in some laborious but edifying work in the news room of The Herald newspaper, in my capacity then as desk editor and columnist of the now defunct tabloid, when my phone suddenly rang. It was my good old journalist chum, Sam Bokuba, then working for CRTV Buea, who was calling. I thought he wanted to recount to me one of those thrilling tales he and I are wont to share. “Which varsity damsel has stumbled in your snare again?” I questioned in utter excitement. 1This rather lengthy citation from Ngugi’s study of satire in Nigeria may strike some as irritating – and justifiably so – but it is important that the mood be set ab initio; important that is, that the ills be called by their names. Ngugi made his study in 1969, at a time when Nigerian society was experimenting with self-governance and discovering the ugly realities of corruption andpolitical deceit. Born in 1954, Bate Besong was an Anglophone Cameroonian writer who published numerous plays, collections of poems, and essays before his tragic death in a 2007 car accident. 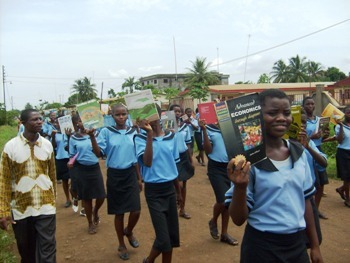 Participants included university lecturers, literary critics, writers, research students in literature, publishers, journalists, staff members from two foreign cultural centers in Yaounde, as well as the Ambassador and Embassy staff. On March 8, 2007, at about nine o’clock in the morning, my phone rang. When I pressed the answer button and held it to my ear, I heard a delirious voice from the other end shouting, “Bate Besong! Bate Besong! Bate Besong!” I recognised the voice as that of Babila Mutia and tried to ask in as calm a voice as I could muster, “What is wrong with Bate Besong?” I knew that he had been engaged in launching his latest book entitled Disgrace the day before in one of the amphitheatres of the University of Buea where he was lecturing in the Department of English. The desperate voice on the other end of the line weighed down more forcefully: “Hilarious Ambe! Hilarious Ambe! Hilarious…” Realising that there was no way to get Babila to be more coherent, I switched off the phone and rang Hilarious Ambe’s number. After a long and nervous wait a voice answered from the other end. But it was clearly not Hilarious Ambe’s voice. Speaking in English, the person identified himself as a gendarme officer and went on to announce to announce what I feared the most. Or you be halfbook man. Or you be school pikin. Or you be big man. Whe them de call’am say Bate Besong. That man na A1 for Cameroon. 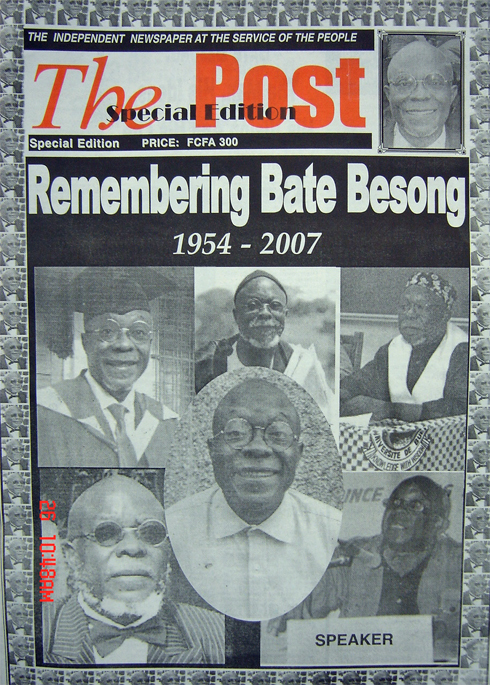 Poem written and performed by Joyce Ashuntantang in Memory of Bate Besong. Video filmed and Edited by Ryan Glista with music by Henry Tanyi (Tanash). Just days before it was announced that he had been awarded Africa's most prestigious award for poetry, the Tchicaya Utamsi award, Niyi Osundare was in Buea, Cameroon to take part in the inaugural EduArts Awards for Cameroonian Literature in English. In this excerpt, Osundare reminisces about the late Bate Besong, Anglophone Cameroon's most militant poet/playwright who was his student at the University of Ibadan, Nigeria. Indeed, these are trying times. But what are the men and women in our university and intellectual circles doing to conscientize, energize, create awareness, proffer solutions and chart a course of action? The answer is not far-fetched. It is in the very essence of a university, i.e. critical thought, that has been smashed to smithereens at the University. There is no longer a "revolutionary manière" at the academy. The deafening silence from a cross-section of eggheads in times as these is a cause for concern. A university is an integral part of its socio-economic and political environment. The first ever poetry anthology after the death of arguably the most controversial and vocal Cameroonian poet, playwright and scholar, Bate Besong has hit the world shelve. Emails from the Editors; Dr Joyce Ashutantang and Dibussi Tande Esq., to some of the contributors in the literary piece indicated that 27 renowned African poets are amongst the writers in the anthology, which verses the life and works of Dr Jacobs Bate Besong. 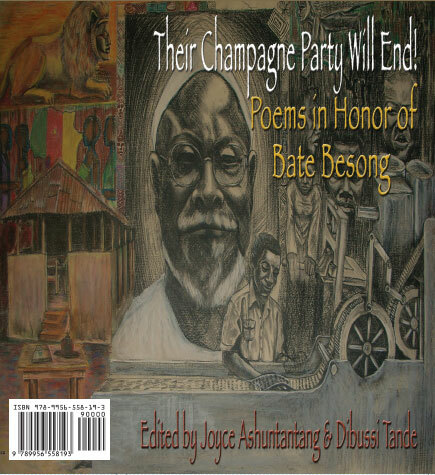 The celebration in verse of the life and works of Bate Besong, Cameroon's most influential and controversial poet, playwright and scholar. Published by Langaa RPCIG. There is a Bafut joke about an angry man who went to the village and shouted - Ngwa! And how 800 young men answered the call in unison. My bosom friend, departed Dr. Hilarious Ngwa Ambe, answered to that call when an angry god called that name last year, March 8. 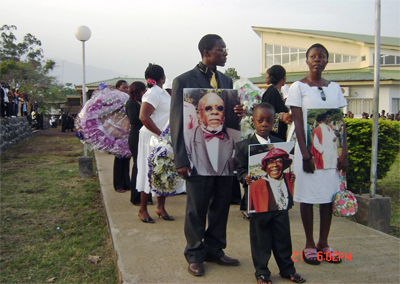 When the people living in Buea went to bed on March 7, they had no way of knowing that during the pre-dawn minutes of the following morning they would be jarred from their peaceful slumber by shock waves that Bate Besong and his 'clone' Hilarious Ngwa Ambe, Ngwangwa Kwasen and their driver, Awoh, had died in a car crash. As they used words to polish words. I simply moaned, at a point. Thank God, all isn’t lost yet. Our country’s still very hot. I’d rather it was Grace. As he had been brief. A year just leapt passed! In wonderment of Nature's unexplained course. Constantly greasing your brain nerves with intellectual oil. Living the realities of the folks you defended. Your world wasn't here indeed -this corrupt world of ours. Attempting to steal a blank cheque to rule ad infinitum. Options, dwindling to the last -violence. If only they could hear you then, now. Rest in peace, Master; as your spirit lives on. Drama is one genre in Literature whose functionality in society cannot be under estimated. It is an active and practical genre because; there is harmony and a practical relationship between the audience and the dramatis personae. It thus imitates its society at best. From this, it is difficult to separate drama from politics; politics being a science that deals with the state and the condition of the human society. Bate Besong is one of the most renown Cameroonian playwright of English expression, besides Bole Butake, Victor Epie Ngome and John Nkemngong, who is of the younger generation of Cameroonian playwrights in English. 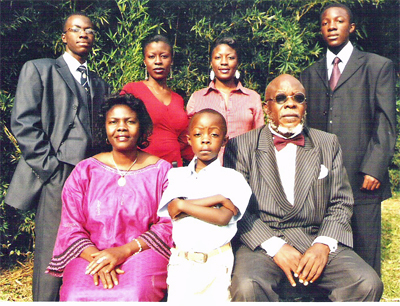 Even then, Bate Besong’s plays have not gained impetus in the eyes of critics. But examining the content and form of Beasts of no Nations, a play he published in 1990, one can rightly conclude that Bate Besong is an experimentalist playwright and a reformer. 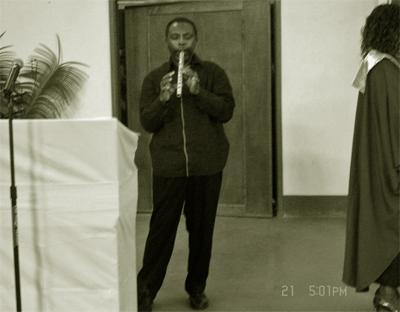 Bate Besong: Is his Poetry Too Difficult for Cameroonians? Bate Besong is the most paradoxical Anglophone Cameroonian writer today in the sense that his work attracts and repels readers at one and the same time. While his poetry is relatively opaque, he nevertheless remains popular, and while his themes entice readers, his style alienates them. Even some dons are ill at ease with his jazzy, abrasive style. Yet among university students there is no literature lecturer more popular than Bate Besong, an erudite iconoclast with an exceptional range of vocabulary power. In his new play, The Banquet, Bate Besong has painted for us a terrifying tragic scene of human existence. He piles up dreadful images, in his characteristically calculated manner, to evoke a vision of the dehumanisation and calamity that the evil in man has compelled him to wreak upon himself. The density and intensity of the frightening images and metaphors inform us of the doom that we have unleashed upon ourselves. Drama & the Revolutionary Vision: Bate Besong's "Beasts of No Nation" and Bole Butake's "Lake God"
Dramatic Discourse and Democratic Transition in Cameroon: Aesthetics of Liberation in Bate Besong's "Requiem for the Last Kaiser"
Bate Besong is a widely – known intellectual and social critic whose creative corpus as well as his commentaries articulate his political and ideological anxieties towards the insensitivities of the postcolony. Consequently, he has crafted an aesthetics of liberation predicated on the impulse to map out an alternative vision for the suffering masses. Requiem for the Last Kaiser, 1one of Besong’s popular plays, is a typical example of his drama of liberation. Its relevance to the political and social affairs of contemporary Cameroon is located in its engagement with the profound contradictions of the neo-colonial state characterized by ineptitude and absolutism of political leadership. Who said NO! to the imperialists and neo-colonialists? BB was introduced to me by a very good friend mine, Kangsen Feka Wakai, also from Cameroon. He told me about BB's influence on the Cameroonian and African literary world. I had read few of his poems and essays and was looking forward to meeting him one day. Unfortunately this will not happen on this sorry earth... perhaps in AFTER-AFRICA. BB will forever be missed in the realm of the young African pioneers and his legacy will forever remain with us. Su' n re o baba (sleep well baba). Besong was born on May 8, 1954 in Manyu Division, at that time called Mamfe, in the then Southern Cameroons. He attended Hope Waddell Training Institute in Calabar and later came to study at St. Bede's Secondary School in Ashing, Kom, where he obtained his GCE A Levels. He left Cameroon after his A Levels and went to Nigeria where he was admitted into the University of Calabar in the Department of English and Literary Studies. Né au Nigeria de parents camerounais, auteur d'une dizaine de pièces de théâtre et d'une demi-dizaine de recueils de poésies, Bate Besong était incontestablement l'une des plumes les plus constantes et les plus représentatives de ce qu'on pourrait appeler la deuxième génération de l'émergente littérature camerounaise d'expression anglaise. Enseignant au département d'anglais de l'université de Buea depuis le milieu des années 90, Bate Besong était également connu pour ses prises de position sans concession et ses déclarations à l'emporte-pièce. Très populaire parmi la jeunesse anglophone scolarisée, il était aussi la bête noire d'une frange importante de l'intelligentsia anglophone. 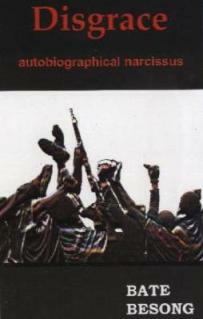 Polémiste redouté que certains observateurs n'hésitaient pas à comparer à Mongo Beti, l'auteur de Obasinjom Warriors whith Poems after Detention était la figure emblématique d'une littérature camerounaise d'expression anglaise à la recherche de ses marques, tour à tour cassante et tendre, incisive et controversée. The Faculty of Arts has lost its pride, its pearl. I doubt if Cameroon would be able to produce another BB in the next four or five decades - Prof. Albert Azeyeh, Dean, Faculty of Arts, University of Buea. Dr. Jacobs Bate Besong, Lecturer, Department of English, University of Buea, UB, who died in a ghastly car crash, March 8, alongside two other Cameroonian literary juggernauts, Dr. 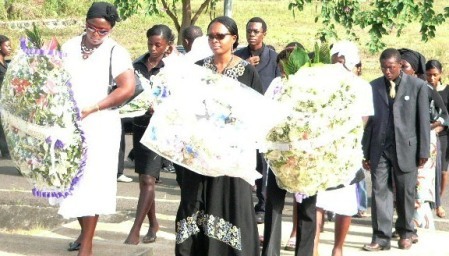 Hilarious Ngwa Ambe, Thomas Kwasen Gwangwa'a and a driver, Samson Tabe Awoh, was Thursday, March 22, laid in his final resting place in his native Ndekwai in Mamfe, Manyu Division. I am a Nigerian friend of Bate Besong. I met him in early 1990s at the University of Calabar in the house of Ada Ugah, a Nigerian literary scholar and prolific bilingual writer. Professor Ugah, my former teacher, himself died in a similar circumstance two years ago. Besong had returned to complete his Ph.D while I was rounding up my Masters programme. 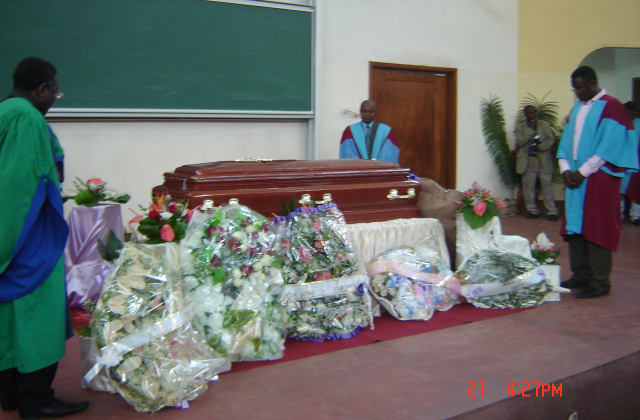 Last Thursday was a day of grief at the University of Buea as academic honours were paid to late Dr. Bate Besong, fondly called BB. The ceremony, which took place in the Amphitheater 750, brought together over 4,000 people who did not only come to mourn BB but also to celebrate the works of the great poet. For the Vice Chancellor of UB, Professor Vincent Titanji, the death of BB has inflicted a deep wound in the University community. He said BB was a man of an independent spirit. Disgrace Emanya - Nkpe, Bate Besong's latest collection of poems, displays the following assertion as a kind of frontispiece: "These people leave nothing but deceit and disgrace as an inheritance for future generations" The letter of Jeremiah, 47. This seeming quote from the Bible is nowhere to be found in the book of Jeremiah. It is made up by the poet who, by so doing, indicates that he should be looked upon as Jeremiah in Cameroon. In the Old Testament, the prophet Jeremiah is known as a very sensitive person who deeply loved his people, to whom he spoke with deep emotion to warn them of the disaster that was to fall upon them as a result of their misconduct. Some of the most remarkable passages in the book point to the day when there would be a new covenant. It was 1996. Early in the evening of a summer day, I stood staring out my Hong Kong apartment window at a hazy grey horizon. The Pacific, calm at this moment, was lapping lazily on the stony shores of Stanley. The sweet and sour smell of frying pork wafting from a nearby restaurant tickled my nostrils. In a few days I would be flying to Cameroon, missing America by so many longitudes. Coming from the skyscrapers and the bubbling waters of rocky Hong Kong, I felt like a gigantic object sailing along the rubber-tree and banana-lined strip of tarmac that wove towards Buea. 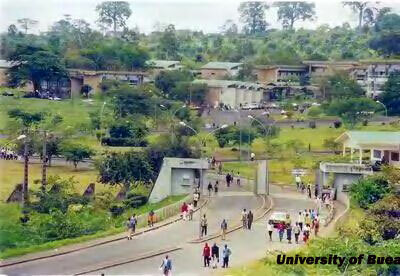 I had planned to do two years in Buea and keep on going on my itchy feet (I have done 10 so far).